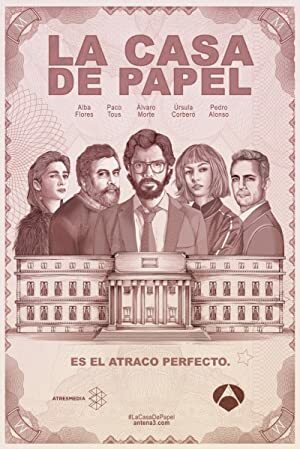 La casa de papel – Season 1 (2017) – What's New on Netflix Canada Today! A group of very peculiar robbers have assaulted the Factory of Moneda and Timbre to carry out the most perfect robbery in the history of Spain and taking home 2,400 million euros. Eight thieves take hostages and lock themselves in the Royal Mint of Spain as a criminal mastermind manipulates the police to carry out his plan.